This month we stay in Colombia (even stay at the same farm!) 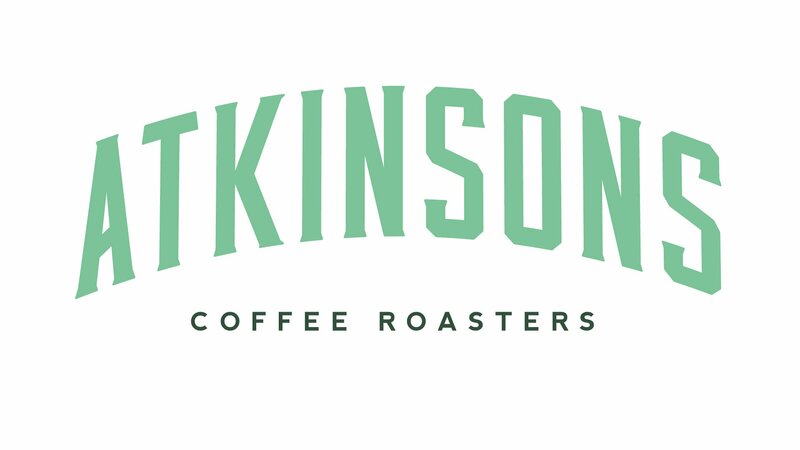 but move roasters with Atkinsons Coffee Roasters, based in Lancaster, UK. They’ve got a delightful honey red bourbon, with sweet, bright passionfruit-like acidity, a hint of fresh strawberry, tropical fruits — and all that boozy goodness from the honey process. We were lucky enough to have Caspar Steel from the team at Atkinson’s share with us his knowledge of this coffee and farm. Thanks Caspar! We’ve been proud to work with this world class farm for several years now. After telling them about the success their coffee had with us in the 2014 UKBC (winning Best Espresso and Best Cappuccino in the National super heats) they spoiled us with an unforgettable trip to Colombia. On this trip we visited four of the five small farms that make up the Granja la Esperanza family, as well as some other farms they collaborate with (and who we now also have relationships with). As my first trip to origin it was eye-opening and inspiring to say the least! Rigo, the farm owner, grew up on his family farm of Potosi as one of 11 children. He and his brother Luis had a strong passion for farming coffee, and in the late 90’s they took one of their first steps to innovate, making the whole farm organic. Soon after they purchased another plot across the valley, the Esperanza farm, and this too was 100% organic. In 2007 Rigo had the opportunity to manage a farm in Panama, the Carleida Estate in Boquete, next door to the famous Esmeralda. After winning National awards for their Geisha in Panama, he then went back to Colombia with Geisha seeds in 2008, to plant Colombia’s first Geisha trees. Most farms harvest coffee once a year over a period of weeks or months. Areas that are close enough to the equator, like Colombia, harvest twice a year with a main crop and fly (or metaca) crop. However, due to the specific altitude and latitude of the Las Margaritas farm, cherries are actually picked nearly 365 days a year. Café Granja pay their picker by time and not by weight to ensure they pick only the ripest cherries — which is particularly important for honey processed coffee. Cherries are then delivered to the beneficio twice a day to avoid over-fermentation in the pickers baskets. When tasting the ripe cherries at the farm I was hit with a burst of sweet and refreshing watermelon notes which come through amazingly in the final cup. This coffee is intensely sweet with a bright passionfruit-like acidity, a hint of fresh strawberry, and tropical fruits. Once at the beneficio they soak the cherries to separate the floating unripe cherries from the ripe ones that sink to the bottom. How ripe the cherries are makes a big difference with honey processed coffees. Super ripe cherries will have a higher sugar content which will result in a sweeter and more complex cup, but it will also leave more mucilage on the bean when drying, enhancing the flavour in the process. De-pulping is done without water to retain as much mucilage as possible — this intensifies the sweetness and boozy notes. After de-pulping they are dried mechanically between 35 – 45°C until a humidity of 10.5% is reached. When a young Thomas Atkinson opened his Grasshopper Tea Warehouse back in 1837, there were six other Tea Merchants in the bustling port of Lancaster. Now there is only one. 180 years on, Atkinson’s is the last link to the city’s infamous maritime past, a reminder of the one affordable luxury that has remained strong over the years: a good cup of tea or coffee. Like our predecessors who stuck to their guns, never compromising on quality, we still abide by our original slogan “The Grasshopper only eats the Finest of Leaves”. Our Grasshopper logo is a traditional quality mark, seldom seen these days. Fourteen years ago the Steel family took over, giving the old Atkinsons family business a transfusion of new blood. Over that time we’ve learned a lot. Sometimes Heritage can equate to baggage, especially in a fast-moving, progressive sector like speciality coffee. We’ve learned to embrace change and still celebrate our amazing legacy, which we enjoy sharing with customers, new and old alike. Today as ‘Guardians of the Flame’ it’s our duty to take the long view, building sustainable relationships with suppliers, and doing our part to look after the environment. We regularly make trips to origin searching out new and exciting coffees, building ties with new farmers and strengthening old ones. Most of the coffees on our lists are now Relationship Coffees, something that would have been inconceivable in the past. When we go to origin we go to learn, to absorb the unique sights, sounds, smells and culture of that particular terroir, so that we can come back and tell the stories and make the most of a more inter-connected value chain. After all, the roaster stands in a privileged position between the producer and the consumer and should revel in the role of storyteller. We make sure the hard work of those at origin is not wasted, by passing on knowledge to staff and customers, and practising what we preach in our three cafes, The Hall, The Music Room and The Mackie Mayor. Between our original shop and The Hall café sits our roastery, in what was a neglected back yard and alleyway. This is now a beautiful light, airy, and productive space, conducive to doing justice to some of the finest coffees around. Every day we roast and cup coffees together, and it is here, in the core of our business, that the majority of our coffee is precision roasted on the Loring Kestrel, one of the greenest roasters on the planet. Our vintage, cast iron Whitmees and Unos still get put into use to add that extra bit of conduction into the odd batch; a sign of our underlying theme of heritage and innovation. This allows us to let everybody know, on a Saturday morning, with the white smoke drifting out of the window of the old shop, across the city of Lancaster: Atkinsons are still roasting. After testing out a few different water recipes we chose to go with ‘Hard AF Water’ because we found it had more complexity, bringing out the funk from the honey process, with high sweetness and acidity, but also tropical fruit notes. The method we chose for this coffee is the trusty old ‘Jug n’ Drip’. Combining an immersion brew with the clean mouthfeel of a paper filter. For this method you will need a suitably sized jug to steep 250ml of water in and then pour out easily, if you have a French press then this is usually perfect. Next you will need a filter cone and filter paper, we recommend a V60 for this. First add 16g of your coffee to your pre-heated jug, ground similar to V60 in size. Then pour on 250g of your water, just off the boil. Turbulence is good so pour it nice and fast to give an even contact with the water. Now wait for 5 minutes, a crust should form on the brew like a cupping or French Press. In this time you can wet your paper filter and pre-heat your mug or server. After 5 minutes, gently break the crust with a spoon so the grounds sink to bottom. Finally, pour the brew slowly into the filter paper, keeping the grinds behind in the jug. After your brew has dripped through your filter you can now get amongst it. We like this method as it ensures a super even extraction and is almost impossible to do wrong, it is also very similar to what we taste in the roastery when we are cupping but without any grounds in the bottom of your mug!